A RICH & STORIED HISTORY OF GOLF, LEISURE, & TRADITION SINCE 1908. 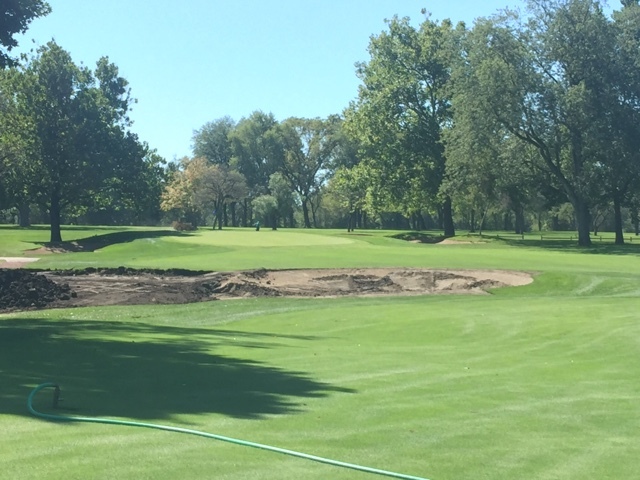 We have begun fall renovation work on a few areas over the past few weeks. 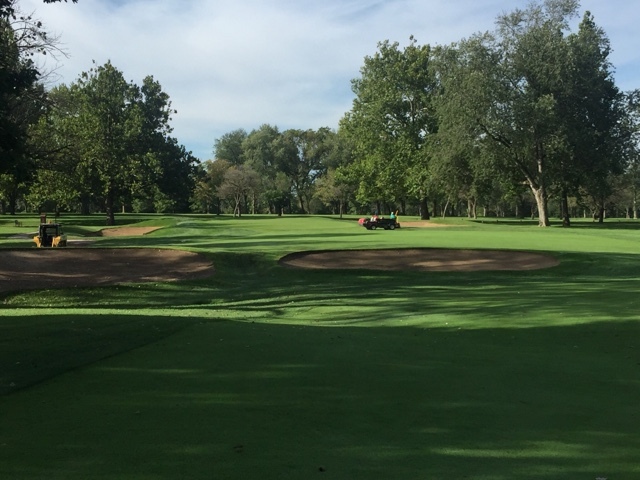 Progress has been steady as we have performed work in between regular course maintenance. 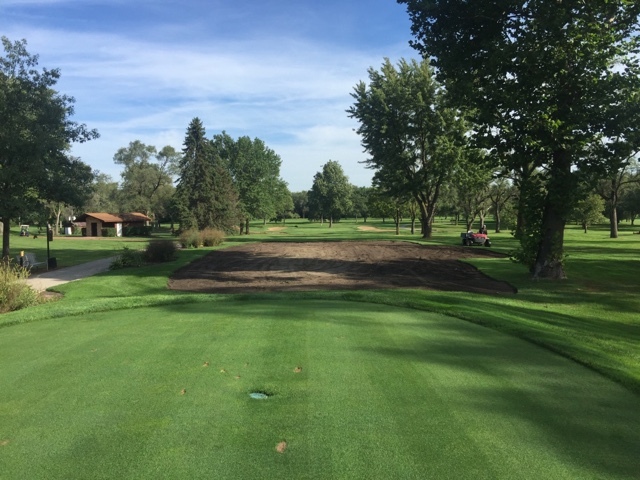 Below are some basic pictures highlighting the work to be completed this fall as well as some in progress photos. 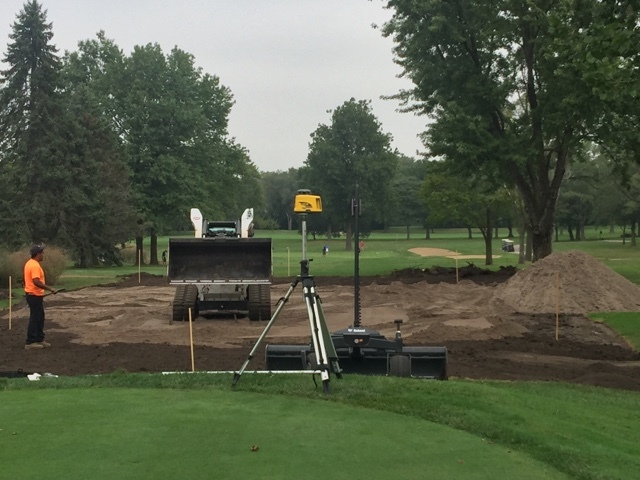 If we can have good weather thru October we should be able to complete the work & have some exciting enhancements to the course for 2017. 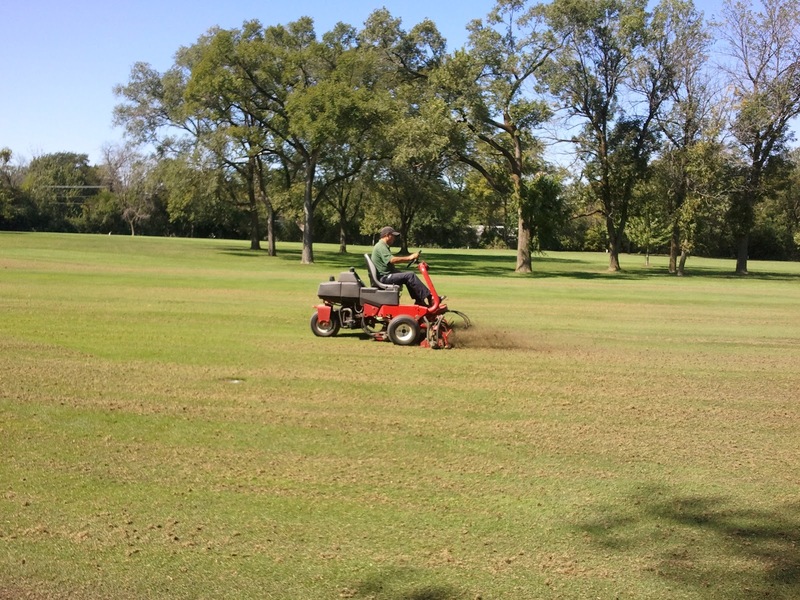 There are numerous steps in the aerification of fairways and numerous reasons why we do it. 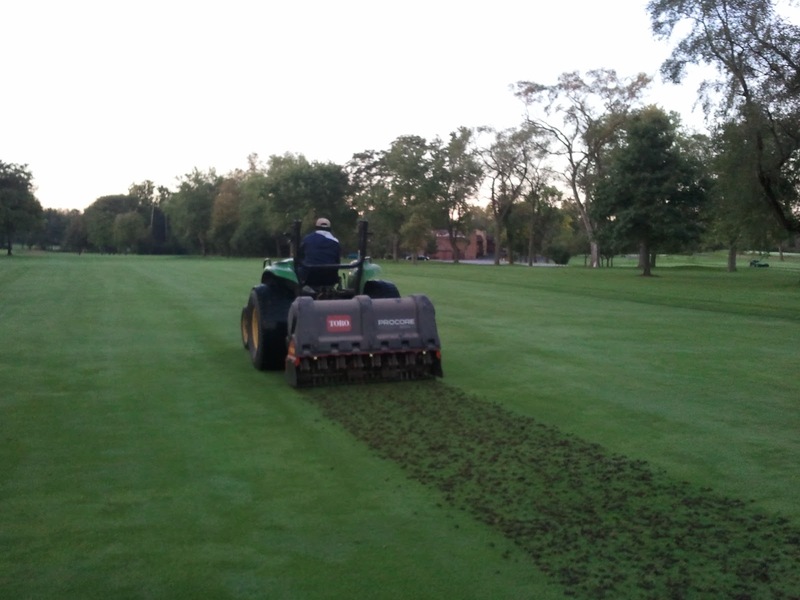 Aerification is important for plant health going into the next season by reducing compaction, providing air & pore space to the root zone, and reducing organic matter. 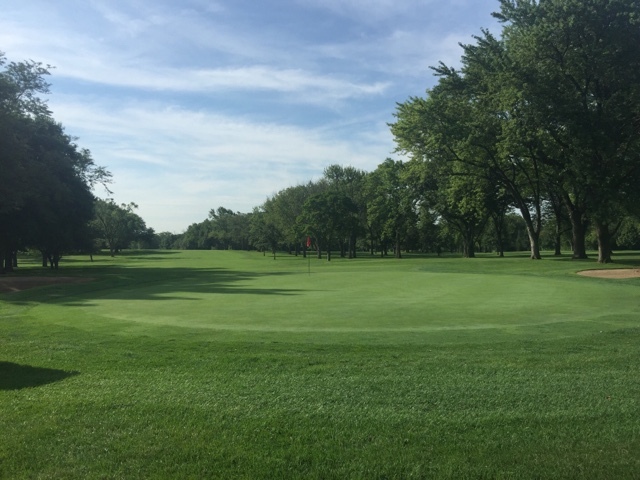 These are very important factors in the turf being able to withstand the heat & stress from our Chicago summers. 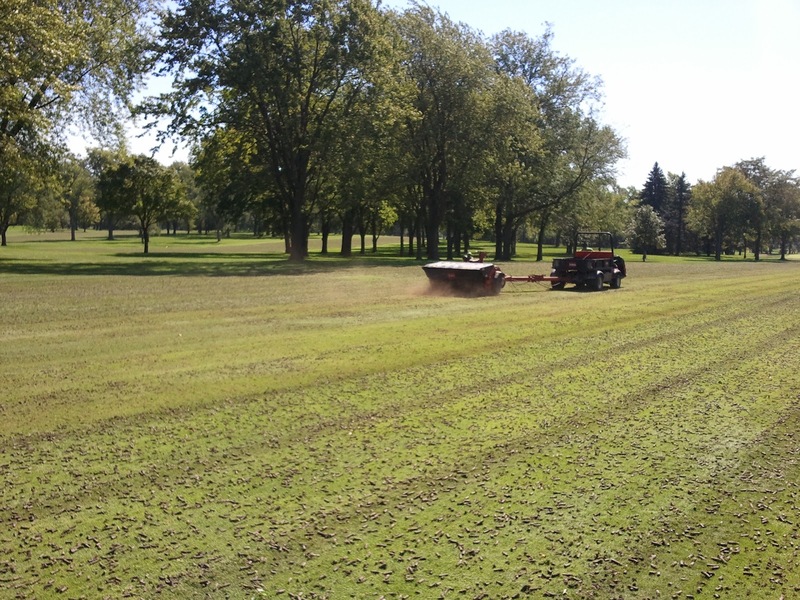 As Fall approaches the turfgrass plant transitions into root development thus making this process very important to next season. How do we get this work done? Here is a step by step photo shoot of how we get from start to finish over the 2 days. 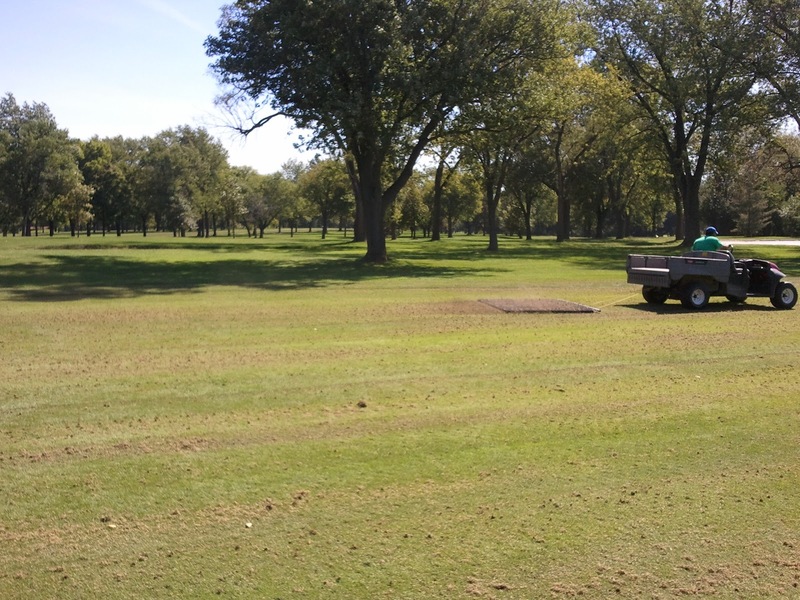 Blowers are used to blow the tuffs of turf off the fairway. Back pack blowers are used to blow the debris away from the irrigation heads. Fairway is mowed to complete the cleanup. An irrigation cycle is run to help start the recovery process. The aerificaion process is complete on Day 2! Heat & humidity made for a rough 2 days of physical labor but as always the crew did an incredible job so a big thanks to them. The Pro Core is used to remove the cores of turf. 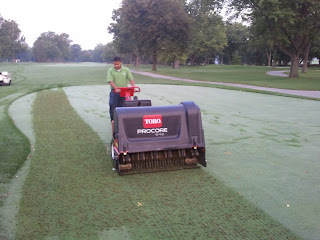 Hollow tines are used to remove organic matter in the top couple of inches. Once the tee is clean, creeping bent grass is spread over the tee and into the holes. 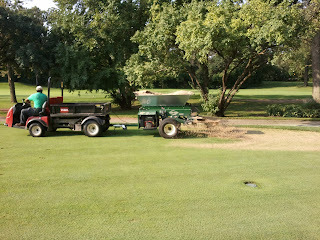 The topdresser is used to disperse the sand over the entire tee surface. 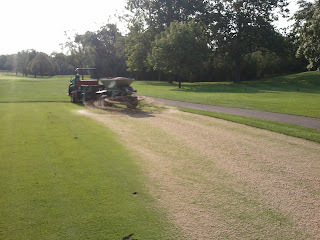 The topdressing sand caps the seed in the holes and aids in improving the entire soil profile. The sand will aid in providing pore space in the soil profile which improves overall turf health. A drag mat is then used to move the sand equally over the entire tee surface and into the holes. 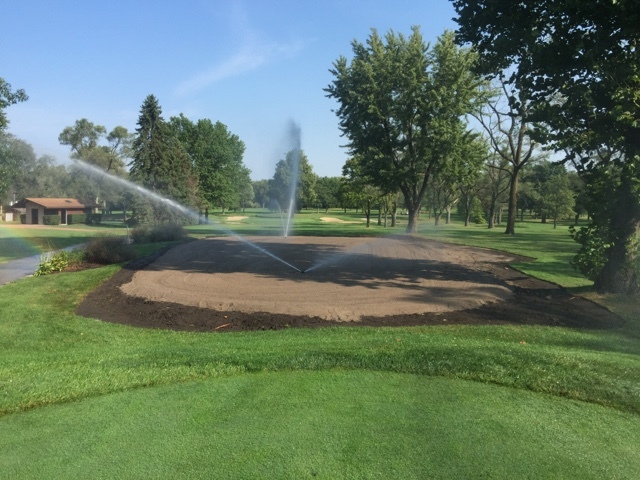 To complete the process, we mow the tee to "clean up" the turf followed by a 10 minute irrigation cycle to help push the sand into the surface. 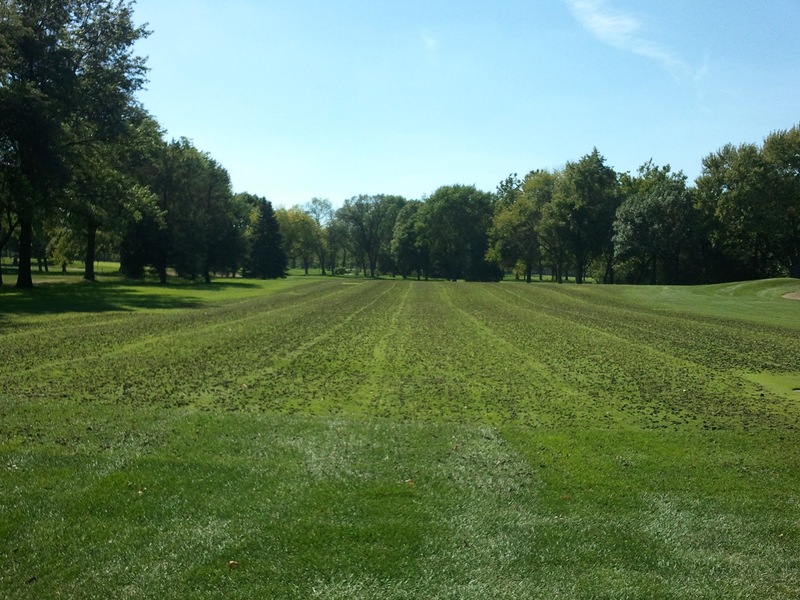 Over the next few days the normal appearance of our tees will begin to reappear and within the next 7-10 days the evidence of our work will be all but gone. Great job to the Assiistant Andrew & crew for their good work. 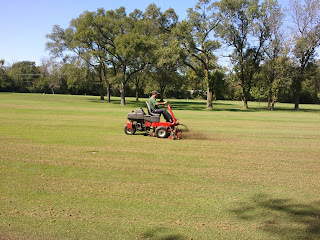 *DURING AERIFICATION OF FAIRWAYS 9 HOLES WILL BE CLOSED EACH OF THE 1ST TWO DAYS. ALL WORK IS WEATHER PERMITTING. 1. 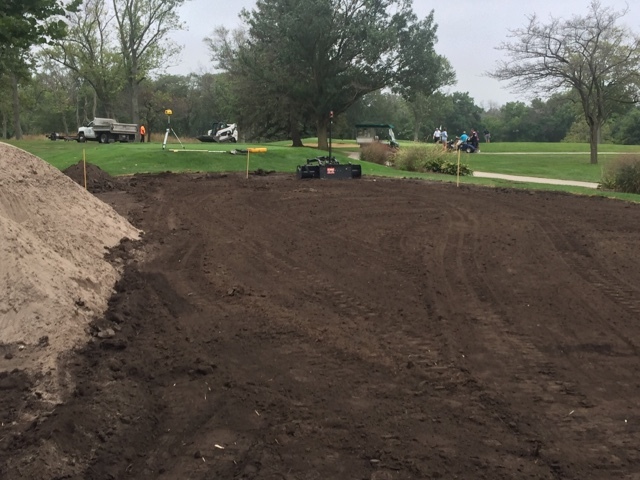 During frost delays and inclement weather, it is the Grounds Department objective to get golfers and golf carts on the course as soon as it can safely be done. 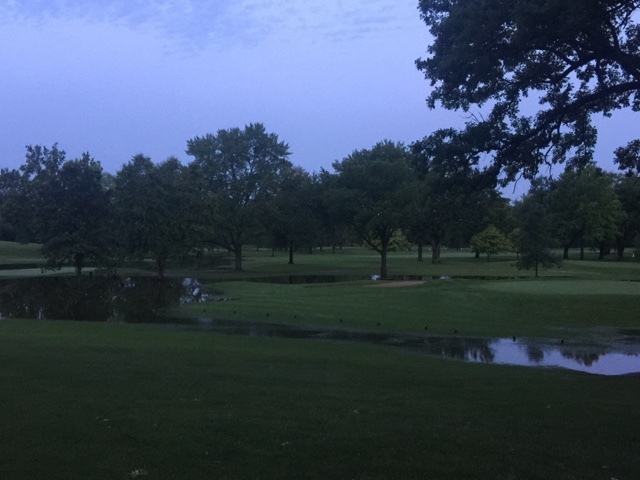 We will be in communication with the Pro Shop as to a time frame for the course to be open and the availability of golf carts. 2. 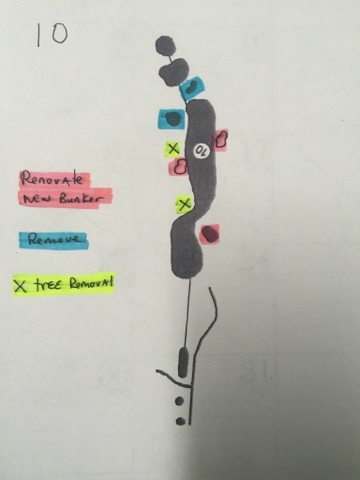 Repairing your ball marks plus 3 others will improve the condition of the greens. Always push your ball mark inward and tap it down. 3. 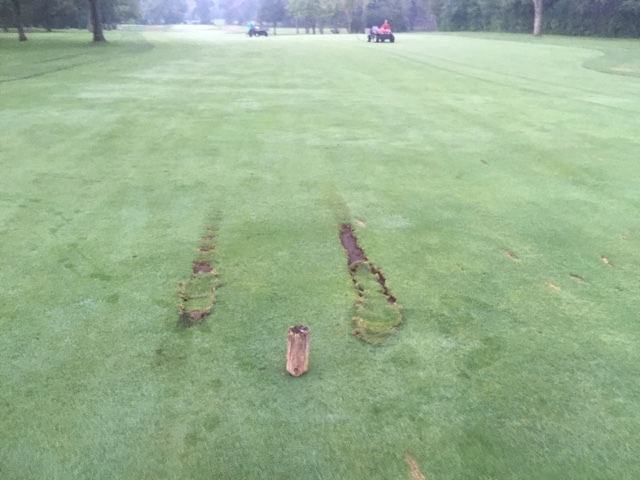 If your divot is in one piece…..replace your divot. 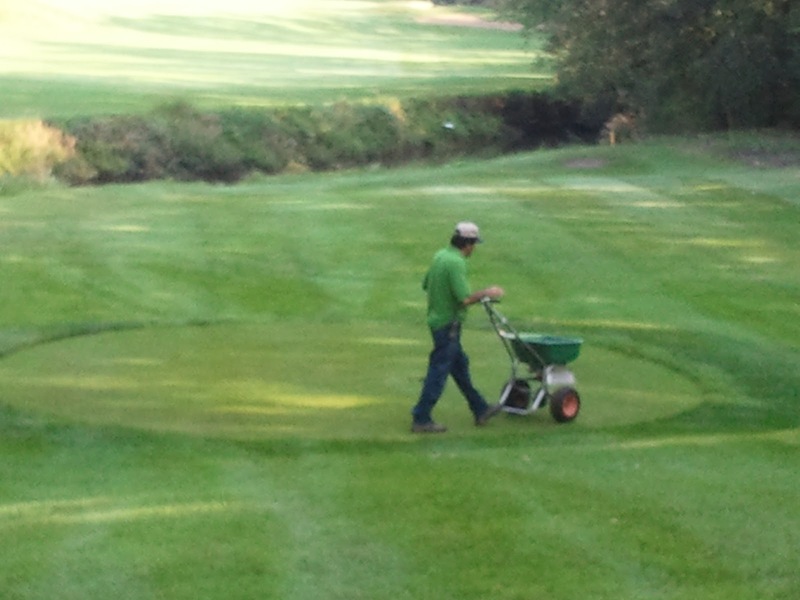 If not, please use the divot mix supplied in the golf cart. This divot mix is for fairways and tees only. 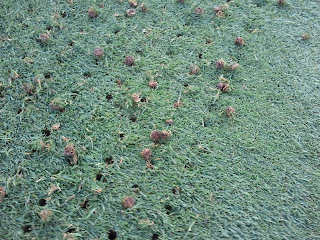 Do not put in the rough!!! 4. 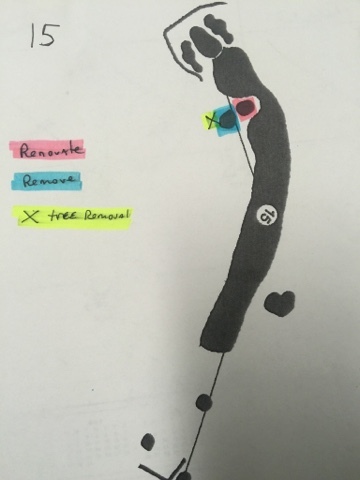 After teeing off, please put your broken tee in the broken tee caddie. 5. Obey the cart direction devices. This will limit any damage that may occur and keep the traffic areas in more out of play areas. 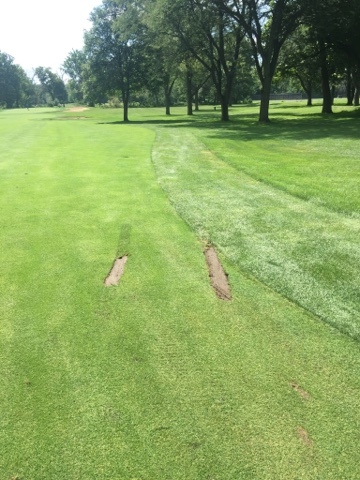 Golf carts are not to be driven to the back tee boxes. 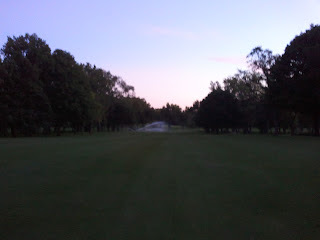 The golf carts should remain on the cart path at the tee box. 6. During inclement weather, special cart restrictions may be put in place. It is crucial that these restrictions be followed. Failure to follow these restrictions can not only cause damage immediately but in the future especially during the heat of the summer. 7. Cigarette buds need to be placed in the trash receptacles along with any other trash. 8. 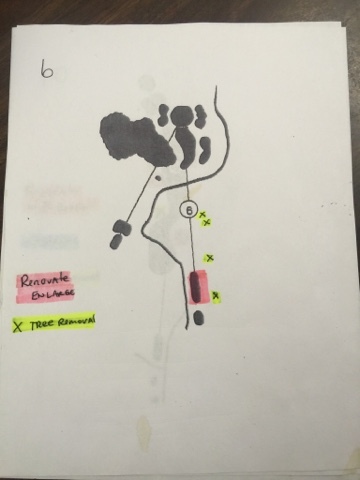 Golfers at the range tee should be aware of other golfers on holes #8 & #11 as they have the right of way. Please keep aware of this to limit anyone getting injured. 9. 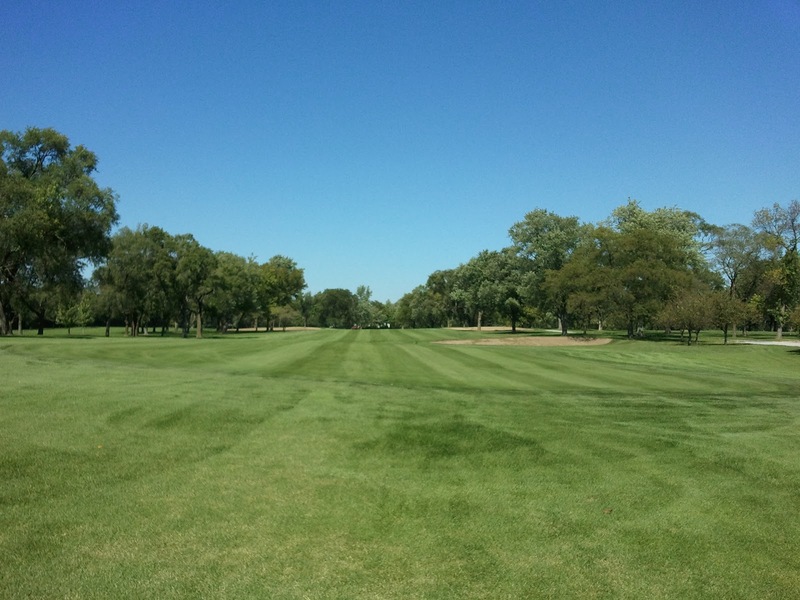 Enjoy your round of golf and the beautiful surroundings. 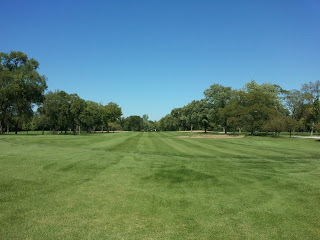 If your golf games brings upon some frustration, please do not take that frustration out on the golf course. Thank you for your cooperation and doing your part as a member of Idlewild CC. The Need For Speed.....But at The Right Time! As is often the case every year, this year is unique & something we haven't experience in quite a few years with the level of heat & humidity combined to sometimes mistake Chicago for a subtropical region. 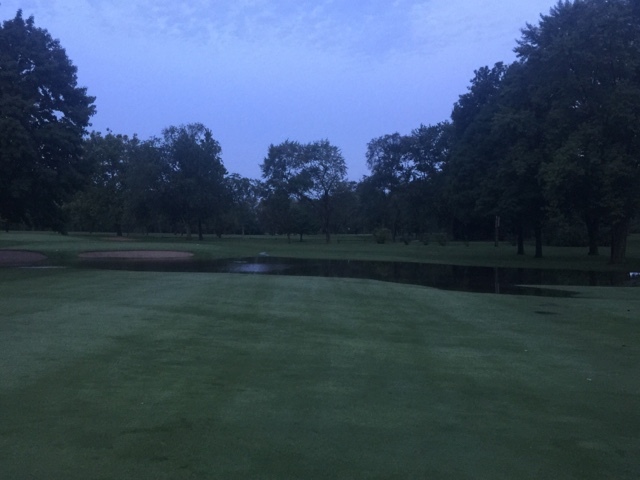 Prior to July 4th, I thought I had hit the weather lottery with sufficient rainfall combined with moderate temperatures leading to fast & firm conditions. We controlled the water not Mother Nature which lead to excellent turf health parleying into fairways & greens that rolled like a dream. 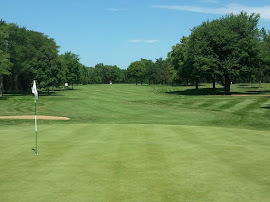 While turf health is still well beyond excellent and what would be expected come August after battling the heat & humidity; green speeds are what sufferers. This has been the ongoing sentiment since Mid July & especially after the heavy rains that left the course breathing for air. The heat we can combat if we have control of the water but when the heavy rains were followed by the high levels of humidity the battle became about survival knowing green speeds experience earlier in the year were out of our control without risking brown vs green turf. We successfully won the back to back weekends of floods by clearing all surface water via trash pumps. 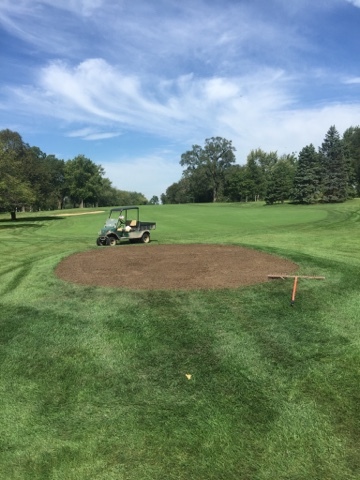 This prevented the turf from being scalded but with the ground saturated with water & high temperatures root mass was lost in our Poa population which represents 60-80% of our course. Poa is a fine playing surface in the proper weather environment but as has been discussed in previous posting is not a tolerate grass species to the extremes of weather be it cold or hot. These circumstances lead to a higher frequency of hand watering to maintain green, tee, & fairways surfaces due to the loss of root mass within our Poa population. 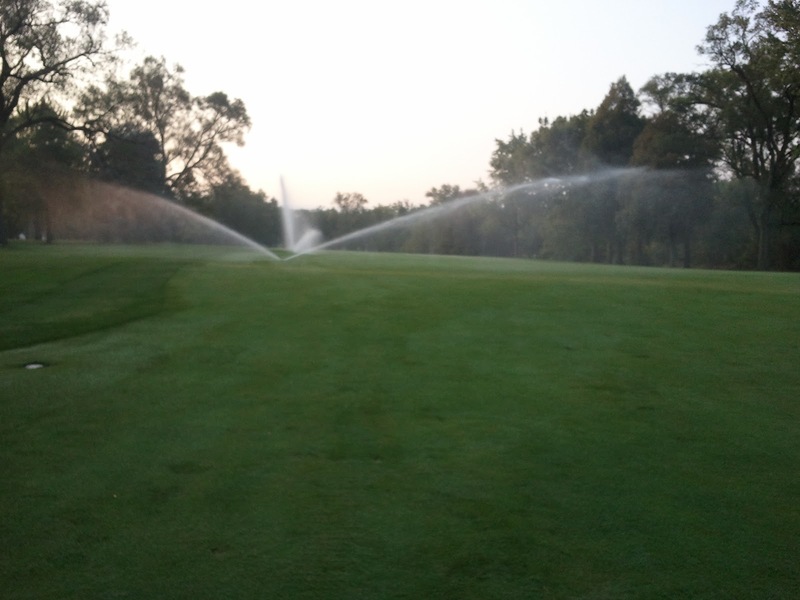 Hand watering allows us to control where the water is applied vs the overall surface if irrigation system is used. 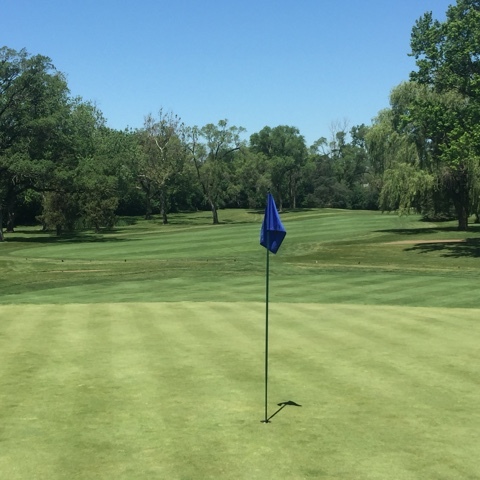 This is especially true on greens as the margin of error during these days with high level heat & humidity are razor thin as one day of not being vigilant can lead to turf much less desirable than a slower putting surface. Below is an excerpt from Dr. Nangle with the C.D.G.A. & his weekly scouting report which puts this into perspective. "This week will have brought up a question that many have not heard for a few summers based on the weather we have seen over the last three years. ‘Why are the greens slow’? Generally a superintendent doesn’t take the comment / question lightly and the answer is both difficult to explain and also hard to understand. 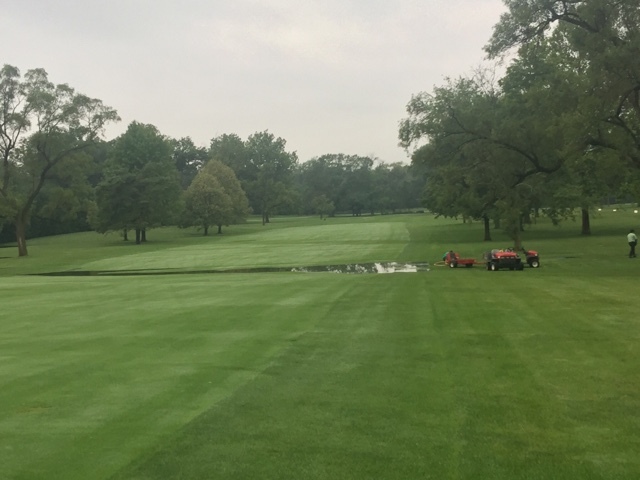 Ultimately the bottom line is this – turfgrass plants are not losing water as rapidly as what they would when at normal levels of humidity, combined with this was rainfall on Wednesday and Thursday of a higher content that was desired for many. The consequence is twofold, superintendents cannot dry out the surface consistently across all 18greens unless they have a vacuum system installed and it means that turfgrass leaves become larger and ‘fatter’ than normal as water has completely filled the internal leaf structure – creating greater friction than normal on a golf ball – slowing it down. 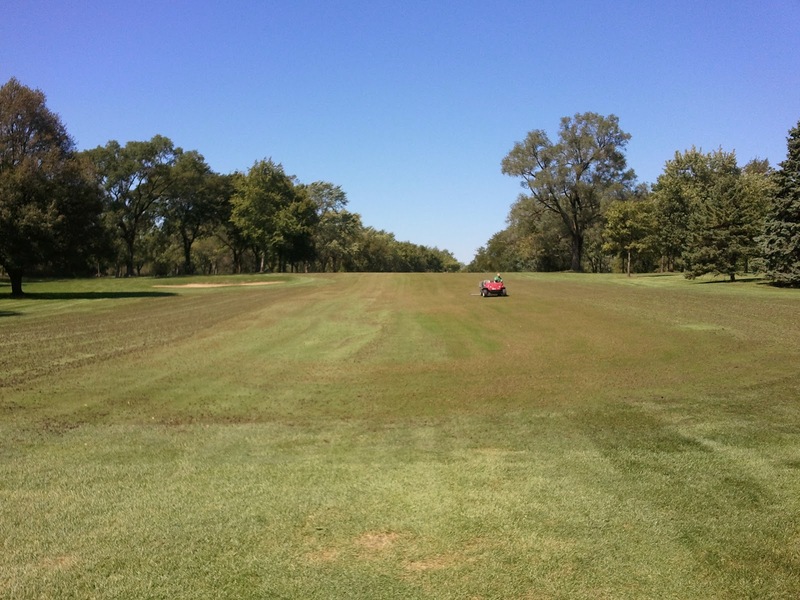 Well why not mow it lower you say – short answer is because no one wants dead grass. The long answer is – with golf and heat, we are exposing the growing point (crown) of the turfgrass plant to even more detrimental conditions (remember cutting turfgrass at 0.1” on a daily basis is akin to cutting your little finger every day for 20 years – if anyone can do that and retain their little finger in perfect condition after 20 years let me know). So like the Open Championship last week where a certain Mr. Stenson hit –20 despite slow and somewhat bumpy greens – players must adjust – get out on the practice green before playing and notice two things – how smooth the surface is and how alive it is – the speed you have to adjust to!" This excerpt gives both physiological part the living grass plant is experiencing but also how to compare it to something we experience with our living human body. High heat & humidity we all experience everyday when conditions are like this when we walk out the door & can be seen with the marks left on our shirts from our bodys perspiration. 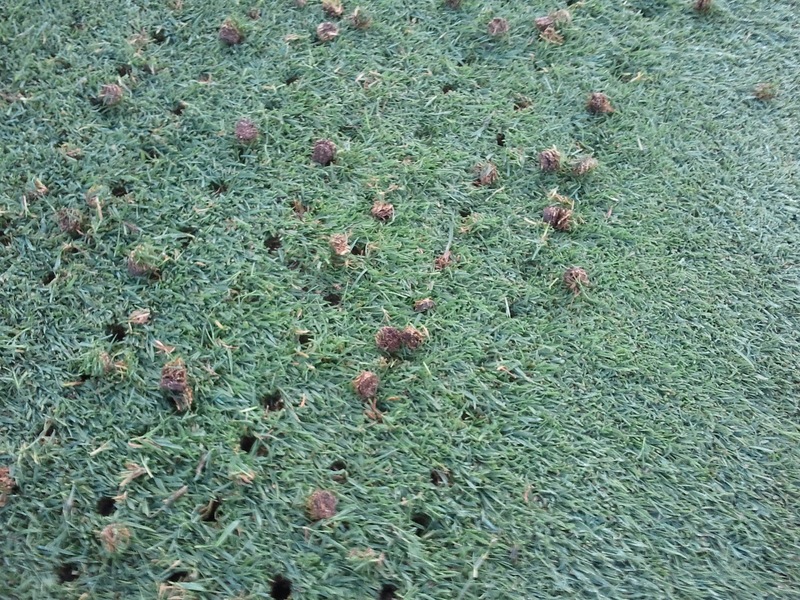 This added moisture both on the turf grass plant & retained within the plant create this resistance to ball roll which creates slower putting surfaces. 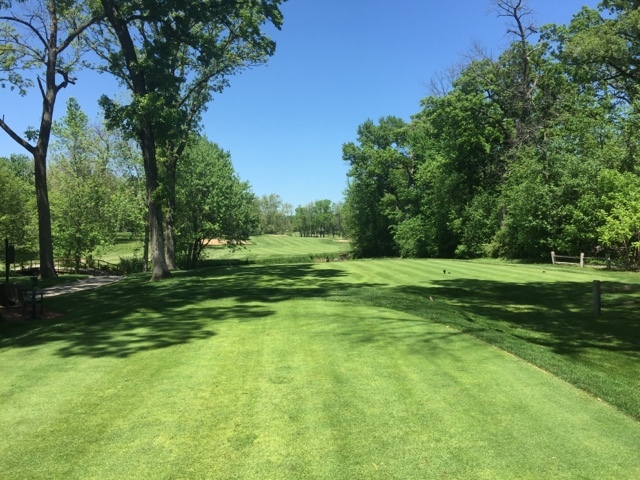 We have maintained the same mowing height since Mid April & continue to mow & roll on the weekends as well as for special events as we have since Mid April. 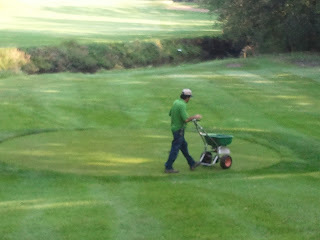 So why are the greens slower if the Grounds Dept. 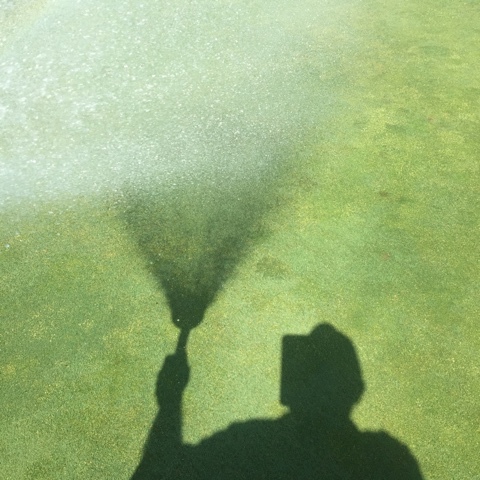 is performing the same tasks that lead to the membership raving about how fabulous the greens were prior to the heat & humidity? As stated above by the help of the USGA & Dr. Nangle......Mother Nature always tends to decide ultimately. 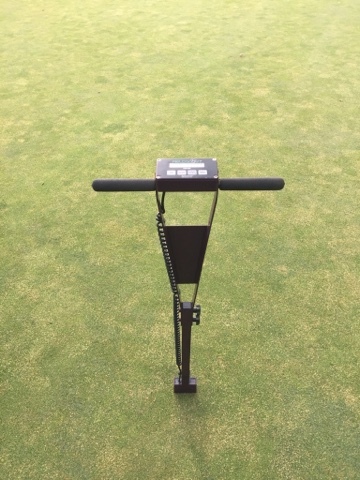 I hope this brings to light some knowledge in helping to explain how the unique weather pattern over the past 3-4 weeks has such a negative affect on greens speeds. 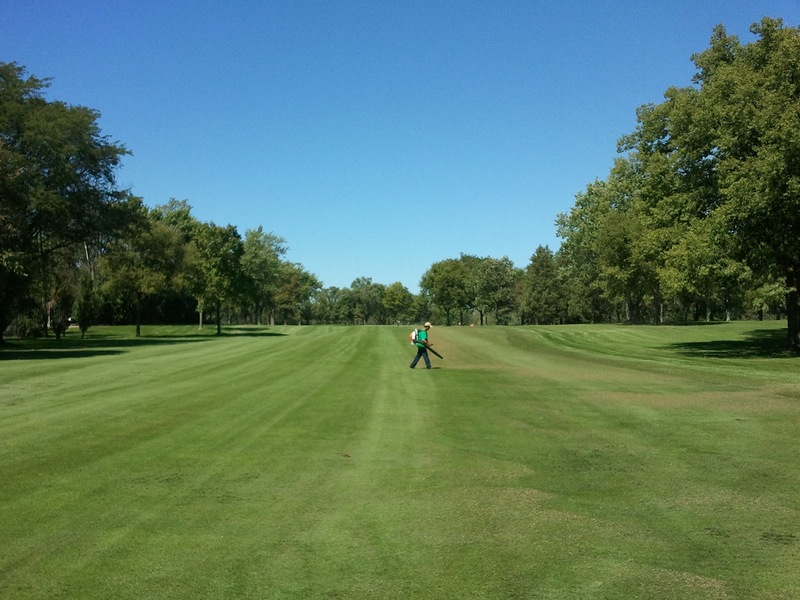 I will continue to make smart choices that maintains healthy turf surfaces & not become reckless with pushing limits that I have seen & experienced and the aftermath that affects the back end of the golf season. 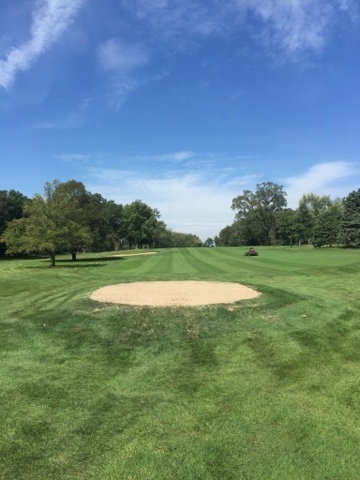 Soon the weather will transition into more favorable conditions & the golf course and it's putting surfaces will return to what we have come to expect. "Very easy to get distracted from your course when your vision isn't placed at the front of your mind. 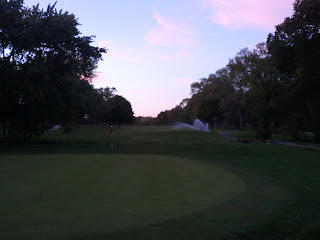 Write down your goals daily"
Certified Golf Course Superintendent of Idlewild Country Club since 1998. 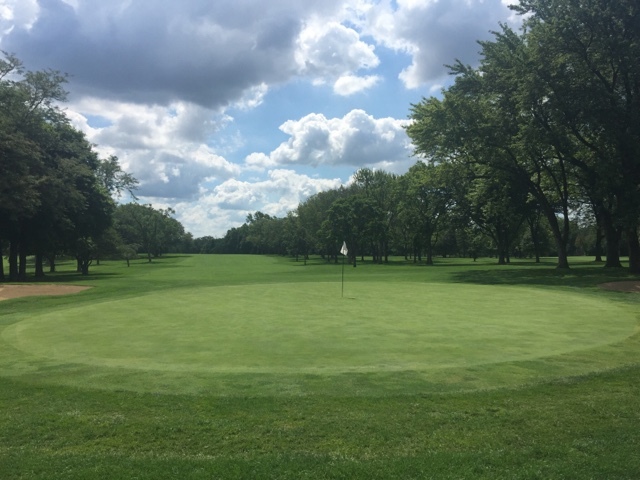 My prior history has taken me from Ohio (Brookside Golf & Country Club) through New Jersery (The Ridgewood Country Club) to Chicago (Idlewild Country Club) since my graduation from The Ohio State University in 1994.